There are 313 guests and 0 registered users on-line. Official website of Flyin Dog Records, the Label with a Bite. 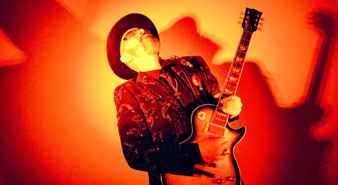 The Kenneth Dunn Agency, established 1992, is primarily booking blues and roots music and has worked with artists from Tommy Castro and the Fabulous Thunderbirds to Mark May. The Kenneth Dunn Agency also books festivals, including the Houston International Festival, the Texas Crawfish Festival, Mississippi Blues Festival, New Orleans Jazz and Heritage Festival, and clubs from the old Fabulous Thunderbirds Lounge and Rockefellers in Houston, Texas to Tippitinas in New Orleans and casinos all up and down the Mississippi Gul Coast. "Home For Traditional & Rockin' Blues, Jazz, Contemporary & Classic Roots Music"
The network for Houston, TX bands on the internet.